Administrative Law Judge (ALJ) Adeniyi A. Ayoade, Office of Administrative Hearings (OAH), State of California, heard this matter in Walnut Creek, California, on May 17, 19 and 20, 2010. Roberta S. Savage, Attorney at Law, who was assisted by Selena Khuu, Attorney at Law, represented Student. Student’s father (Father) and mother (Mother), hereinafter referred to collectively as Parents, were present on all hearing days. Tracy L. Tibbals, Attorney at Law, represented the Acalanes Union High School District (District). Cheryl Hazell-Small, District’s Director of Special Education and Auxiliary Services, attended all hearing days. 1 To maintain a clear record, the closing briefs have been marked as exhibits. Student’s brief has been marked as Exhibit QQ, and District’s brief has been marked as Exhibit 14. 2 This issue is as framed in the May 6, 2010 Order Following Prehearing Conference, and as further clarified at hearing. The ALJ has reframed the issue for the purpose of clarity. 3 Even though January 26, 2010, was Student’s last day at Las Lomas, Parents did not place Student at the Bayhill High School until February 4, 2010. 4 The American Psychiatric Association defines dysthymia as a depressed mood most of the time for at least two years, along with at least two of the following symptoms: poor appetite or overeating; insomnia or excessive sleep; low energy or fatigue; low self-esteem; poor concentration or indecisiveness; and hopelessness. 5 The qualifications of the assessors, their conducts of the assessments, and the findings or validity of the assessments are not disputed. 6 Dr. Peterson is a Licensed Psychologist and a Pediatric Neurophysiologist in Oakland, California. Both parties agree that Dr. Peterson is a qualified and well-respected assessor. He is well-known in the special education services providers’ community. 7 At the relevant time, Ms. Zamaria was the Special Education Department Chairperson for District, and attended IEP meetings. She attended all three of Student’s IEP meetings. She has experience dealing with students with varying special needs, including those with ADHD, social skills needs and executive functioning challenges. She is well-trained, qualified and experienced, and has been employed by District for the past 19 years. Ms. Zamaria has a bachelor’s degree in English literature, and a Master’s degree in education. She holds a Severely Handicapped Specialist credential, and the Elementary (K-9) Standard Teaching credential. She also holds a Resource Specialist certification and a Cross-Cultural Language and Academic Development (CLAD) certification, among others. Prior to joining District, Ms. Zamaria worked with special needs students in the areas of Mathematics and English at the Oakland Unified School District, and also at the La Cheim School, Inc., in Berkeley. 8 Ms. Hazell-Small holds bachelor’s and master’s degrees in speech pathology and audiology, and is currently participating in her doctoral studies in organization and leadership at the University of San Francisco. She has been with District as the special education director since 2003. Prior, she worked with Moraga School District as the Director of Student Services; the Contra Costa County Special Education Local Plan Area (CCSELPA) as a Program Specialist (1979-2004), and CCSELPA as the Interim Director (1989-1991). At the beginning of her career working with special needs students, which began around 1972, she worked as a Special Day Class teacher and Speech and Language Specialist. 9 Ms. Pearce received her master of science degree in clinical child psychology/social psychology, and a bachelor of science degree in psychology. She obtained her school psychology credential in 1995, and has since worked as a school psychologist. Ms. Pearce served in various panels and committees within District, including the Safe School and Drug Free Task Force, the Suicide Intervention Task Force and the Crisis Response Team. She has experience conducting individual and group counseling, including cases involving threats of suicides. She has worked for District as a school psychologist for about five years, and prior, for another school District for about 10 years. Ms. Pearce established that she has experience dealing with students with suicidal ideations, both at Las Lomas and outside District. She has experience in intervention techniques and practices. Ms. Pearce is properly credentialed as a school psychologist, and has dealt with other cases of suicidal ideations at District. 10 At the IEP meeting, Parents informed District that Student was removed from Las Lomas on January 26, 2010, and that Student had been attending Bayhill. 11 Ms. Pearce, Ms. Zamaria, Mr. James Nolte, Student’s World History teacher, Mr. Mark Thompson, Student’s Mathematics teacher, Ms. Gunnison, and Mr. Douglas Longero, Student’s Physical Education teacher. 12 In his report, Dr. Peterson indicated that parental support was necessary for Student to make academic progress. He recommended that Parents “implement a structured plan for homework completion” with Student, and help Student “with the process of outlining his approach to his assignments.” Further, in his report, in the “Guess Why Game” section, Dr. Peterson identified some of Student’s social issues to include, a “high level of conflict with Parents,” the “frustration with Parents over attempt at limit setting,” and the “perception of Father as being angry much of the time.” Parents admitted that Student resisted their help generally. From November 2009, did District continue to offer Student a free appropriate public education (FAPE) in the least restrictive environment (LRE) during the 2009-2010 School Year (SY)? District requests that OAH issue an order finding that the individualized education program (IEP) of June 3, 2009, as modified on October 13, 2009, and February 16, 2010, provides Student with a FAPE in the LRE. District contends that its June 3, 2009 IEP, as modified on October 13, 2009, constituted an offer of FAPE to Student, and was reasonably calculated to provide Student with meaningful educational progress in the LRE. Further, District contends that its February 16, 2010 IEP was reasonably calculated to provide Student with meaningful educational progress in the LRE, and that its offer of placement and services was appropriate, as Student received a FAPE at all relevant times. District maintains that Student received passing grades in all subjects, and disputes Parents’ accounts that Student was either suicidal or overwhelmed by the school curriculum. Lastly, District contends that Student exhibited no symptoms of dysthymia at school, and that dysthymia, even if Student suffers from it, did not impact Student’s education at Las Lomas High School (Las Lomas). 1. Student is a 15-year-old male, who was in a general education ninth grade program at Las Lomas within District. Student was enrolled at Las Lomas as a freshman student on August 26, 2010, and attended the school until January 26, 2010, when Parents removed Student from Las Lomas, after one semester. On February 4, 2010, Parents unilaterally placed Student at the Bayhill High School (Bayhill), a certified non-public school in Oakland, California. 2. At all relevant times, Student resided with Parents within the boundaries of District. He is eligible for special education and related services as a child with special needs under the Other Health Impairment and Specific Learning Disability categories. There is no dispute that Student has multiple disabilities, including attention deficit hyperactivity disorder (ADHD) and dysthymic disorder (dysthymia). Student is also noted to have a language-based learning disability, some language delays, and has had task-completion, organizational, social and attention problems. Student has taken medication for anxiety. 3. Student was first identified as a child with special needs when he was in the second grade during the 2002-2003 SY, due to attention deficits and inability to work independently. He has received special education services since third grade, during the 2003-2004 SY. At the time, Student was attending the Burton Valley Elementary School within the boundaries of the Lafayette School District. Since, Student has had numerous placements. 4. While still in third grade, Parents transferred Student to the Murwood Elementary School (Murwood) within the boundaries of the Walnut Creek School District (WCSD) where he remained until fifth grade. In Student’s fifth grade year, Parents removed him from Murwood, and placed Student in a home school program for the sixth grade year. The home school program was unsuccessful. Parents placed Student at the Stellar Academy, a private school in Fremont, for seventh grade. Finally, Parents transferred Student to the New Vista Christian School (New Vista), a non-public school in Martinez, for eighth grade. Parents were dissatisfied with each or some of these placements for a variety of reasons, including Student’s failure to make social progress and/or academic progresses, failure to develop independent study and writing skills, Parents’ belief that Student was feeling increasingly frustrated and overwhelmed, and significant transportation challenges Parents faced getting Student to and from school. 6. An IEP is an educational plan that must address all of a student’s unique educational needs, including the student’s academic, social, emotional, communicative, physical, and vocational needs. In order to provide a FAPE, the IEP must also be reasonably calculated to provide the student with some educational benefit. 7. WCSD convened an IEP meeting on June 3, 2009, and discussed Student’s needs, including organizational, social-emotional, attention, language, reading and study skills, among others. The reports and results of the assessments were also discussed. All of the assessors were present, and each assessor presented the results of his or her assessment. Dr. Peterson played a central role and guided everyone at the meeting. 8. The assessors recommended that goals be developed for Student in the areas of social-emotional problems, attention, language, reading and study skills deficits, among others. Further, Student would receive counseling and positive behavioral supports for his social-emotional issues, and skills trainings for his pragmatic language deficits, organizational, reading, writing, and study skills deficits. The goals were discussed and adopted for Student in the areas of social-emotional problems, attention, language, reading and study skills deficits. District would use a variety of measures to evaluate Student’s successes in the goals, which would include percentages of activities accurately completed by Student, Student’s scores, self-reporting by Student, a number of writing tasks completed by Student, and observations and monitoring of Student by teachers and staff. Reporting on the goals would occur four times per year. 9. Based on the results of the assessments, and the discussion among the members of the IEP team, the team developed Student’s IEP for the 2009-2010 SY. The team, including the assessors and Parents, agreed to place Student in a general education high school program at Las Lomas. For his first year in high school, during the first semester, Student would take the following courses: Learning Skills, Physical Education, English, Algebra 1, World History, and Electronics. 11. Parents consented to the goals and accepted District’s offer of placement and services, as determined by the IEP team on June 3, 2009. Student began attending Las Lomas on August 26, 2009, and the IEP was implemented. Parents are not challenging the appropriateness of the June 3, 2009 IEP, or its offer of placement and services. At the time the IEP was developed, Parents fully consented to the IEP, believed the placement and services were appropriate and that Student would receive educational benefit. 12. Student began attending Las Lomas on August 26, 2006. From August 2009, and up to the end of October 2009, Parents have raised no issues regarding District’s implementation of Student’s IEP. 13. On October 13, 2009, the IEP team met to review Student’s IEP and monitor Student’s progress. Teachers’ reports were reviewed and the IEP team made a determination to modify Student’s IEP to address teachers’ and Parents’ concerns. Among others, Student would drop Electronics, and the school psychologist would focus on addressing Student’s social skills issues. Also, the World History curriculum would not be modified due to Parents’ objection. 14. Parents consented to the modifications. Parents are not challenging the appropriateness of the October 13, 2009 IEP, or its offer of placement and services. At the time the IEP was developed, Parents fully consented to the IEP, believed the placement and services were appropriate and that Student would receive educational benefit. 15. Ms. Zamaria was District’s Instructional Support Provider for students enrolled in the special education program. 7 She was responsible for coordinating, monitoring, and supporting the implementation of the IEP and reporting on Student’s progress in meeting the IEP goals. Ms. Zamaria also worked with Student personally in some classes. She taught Student the second ISP English class, called the “shadow class,” so Student could get a double class of English, and assisted Student with his other IEP goals. She also helped Student make flash cards and provided him assistance in completing his assignments. She attended Student’s English class taught by Ms. Emelie Gunnison. Ms. Zamaria took notes for Student, participated and helped pace Ms. Gunnison’s class, and identified learning issues in the class. In Ms. Gunnison’s class, Ms. Zamaria supported Student, as well as other special education students. Further, Ms. Zamaria met often with each of Student’s teachers in order to monitor his progress, review his goals, services and supports, and to determine whether Student required additional accommodations or modifications, including extended time to complete his assignments. 16. Ms. Zamaria believed that Student’s IEP was appropriate and was fully implemented. Ms. Hazell-Small, 8 District’s Director of Special Education and Auxiliary Services, also testified that Student’s IEP was comprehensive and addressed all areas of Student’s needs, unlike his prior IEP at New Vista, which she believed did not address his need in social skills and attention, among others. Student received all agreed-to services and supports, including counseling, social skills instruction, tutoring help and note-taking assistance, among others. Progress regarding Student’s IEP goals was reported appropriately, and progress regarding Student’s attendance and assignments were monitored and reported weekly. 17. According to Parents, sometime in November 2009, Student became overwhelmed with schoolwork, got increasingly frustrated at home and had a “melt down.” On December 4, 2009, Mother emailed Ms. Zamaria and indicated that Student was “thinking about suicide.” Mother also expressed concerns regarding issues surrounding Student’s participation in his first period Learning Skills class with Ms. Zamaria due to his tardies, and some issues regarding a recent paper in the English class. In the email, Mother did not request an IEP meeting or a mental health assessment for Student. Mother explained that she did not request an IEP meeting because she wanted an immediate meeting and did not want to wait to have an IEP meeting. 18. Ms. Zamaria responded to Mother’s December 4, 2009 email about five hours later. In her response, Ms. Zamaria expressed concern and wrote that she had spoken with other staff members about the suicide issue. Based on her observations of Student, and the observations of other staff members, Student was in “good spirits” at school. She wanted to know from Mother whether Student was seeing a therapist, and if so, whether Mother would consent to a release of information so District staff could speak with the therapist about staff’s observations of Student at school. Finally, Ms. Zamaria offered to meet with Mother about her concerns, either informally or at an IEP meeting. 19. Upon receiving Mother’s email, Ms. Zamaria immediately contacted the school psychologist, Ms. Anneliese Pearce, 9 who met with Student that same day, in order to determine whether Student was a threat to himself or others. Ms. Pearce knew Student well, and had worked with Student regarding his social skills goals, both individually and in social group counseling. Regarding the suicide issue, Ms. Pearce met with Student for about 30 minutes. Student was “happy, talkative and was his bouncy self” at the meeting. After interviewing Student, she determined that Student was not a threat to himself or others, and she returned Student to class. She described Student as generally upbeat, happy, outgoing, and usually seen with other people. She never observed sadness or depression in Student. She would not have returned Student to class if Student were at risk; such students are often referred for therapy or hospitalization. 20. On December 11, 2009, Ms. Zamaria emailed Mother regarding Mother’s December 4, 2009 email to Ms. Zamaria. Mother responded that she would like to meet the following week to discuss where Student was “academically etc.” Mother did not mention her concern about Student having thoughts of suicide. 21. As requested by Mother in her December 11, 2009 email to Ms. Zamaria, on December 16, 2009, District held an informal “problem-solving meeting” with Mother. The purpose of which, according to Ms. Zamaria, was “to look at Student’s progress at school and see if we need to make any significant adjustment to Student’s goals.” Student, Mother, Ms. Zamaria and Ms. Kara Bloodgood, the School Counselor, were present at the meeting. 22. At the meeting, the participants discussed the need for Student to check his backpack the night before school as a way of ensuring that he remembered to bring his supplies and homework to school the next day. They discussed tutoring for Student, his participation on the football team, and the possibility of Student’s playing other sports, especially lacrosse, or joining other social groups; including the “boys group,” or the “Safe School Ambassadors.” The fact that Student’s medication for seizure disorder would be changed was also discussed. Mother expressed concerns that she was worried about Student reaching “a breaking point,” and indicated that Student considered Parents’ involvement in his life demeaning. Based on the record, and the testimony of Ms. Zamaria, Ms. Hazell-Small and Ms. Pearce, Mother did not express additional concerns about Student having suicidal thoughts or dysthymia at the meeting. 23. On January18, 2010, Mother sent an email to Ms. Zamaria requesting an IEP meeting. Ms. Zamaria responded to Mother’s email on January 21, 2010, and scheduled the IEP meeting for February 16, 2010. 24. The same day that Ms. Zamaria scheduled the IEP meeting requested by Mother, and through a letter dated January 21, 2010, Parents provided District with10-day notice of their intent to unilaterally place Student at Bayhill. According to the letter, the date set by Parents for the Bayhill placement was February 3, 2010. Student made application to Bayhill in December 2009, and on January 18, 2010, when Mother requested an IEP meeting, Student was already accepted at Bayhill. 25. As scheduled, District held the February 16, 2010 IEP meeting. The meeting was attended by Parents, Ms. Gunnison, Ms. Zamaria, Ms. Pearce, Mr. Mark Uhrenholtz, Assistant Principal for Las Lomas, Ms. Loraine Domenico, Program Specialist with the CCSELPA, Ms. Bloodgood, School Counselor, and Ms. Hazell-Small, among others. 27. Parents disagreed with the District’s IEP team members’ recommendations and asked that District agree with their placement of Student at Bayhill. Parents presented a written statement at the IEP meeting wherein they indicated that they have made a unilateral placement of Student at Bayhill. In their statement, Parents argued that Las Lomas was not offering Student a FAPE; Student’s depression had become acute; and they believed that a change in placement would benefit Student both academically and psychologically. After the February 16, 2010 IEP meeting, Parents dis-enrolled Student from Las Lomas. 28. The IEP must include a statement of the extent to which a child will not participate in a regular classroom with non-disabled children. The IEP must also indicate why the student’s disability prevents his or her needs from being met in a less restrictive environment even with the use of supplementary aids and services. Further, in order to measure whether a placement is in the LRE, four factors must be considered: (1) the academic benefits available to the disabled student in a general education classroom, supplemented with appropriate aids and services, as compared with the academic benefits of a special education classroom; (2) the non-academic benefits of interaction with children who are not disabled; (3) the effect of the disabled student’s presence on the teacher and other children in the classroom; and (4) the cost of mainstreaming the disabled student in a general education classroom. District continues to believe that Las Lomas was an appropriate placement in the LRE for Student, and District filed this due process hearing after the IEP meeting of February 16, 2010. 29. 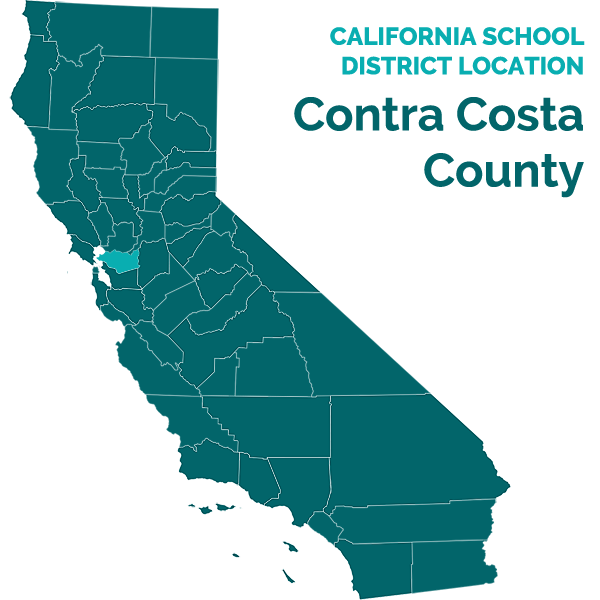 District contends that it continues to offer Student a FAPE in the LRE based on its Las Lomas’ placement offer. District’s proposed goals at the February 16, 2010 IEP team meeting contained an appropriate mix of instructions in special education and general education settings, and met Student’s unique needs. Student’s placement at Las Lomas reflected Dr. Peterson’s determination that “Student is capable of grasping many aspects of mainstream curriculum,” with a high degree of structure and support. District offered structured instructions, support, accommodations, and curriculum modifications as recommended by the assessors. Therefore, the District’s offer in the February 16, 2010 meeting, which was based mainly on the IEP offer of June 3, 2009, as modified on October 13, 2009, was reasonably calculated to provide Student with some educational progress in the least restrictive setting. 30. As stated in Factual Findings 28 and 29, District properly offered Student placement at Las Lomas. Regarding the first prong of the four-part LRE test, District established that it properly offered Student placement, appropriate aids, services and support at Las Lomas in the general education (GE) program and Student received academic benefits. Regarding the second prong, the District established that Las Lomas allowed Student the opportunity to interact socially with his peers and play on the football team. The evidence established that Student was sociable, got along with his peers, and overall, benefited from peer-to-peer interactions at Las Lomas. Regarding the third factor, there was no evidence that Student’s presence in the GE program had any negative impact on the other students in Students’ various classrooms. The evidence established that Student was able to attend mainstream classes and access the mainstream curriculum without disruption. Lastly, and regarding the fourth prong, the cost of the mainstreaming Student was not challenged or discussed at the hearing. Therefore, District established that Las Lomas continues to be an appropriate placement in the LRE for Student based on its IEP offer of February 16, 2010. District’s offer was reasonably calculated to provide Student with some educational progress based on accurate present levels of performance from the District’s assessments. Student’s placement at Las Lomas was appropriate and provided Student with a FAPE in the LRE. 31. In contrast, Ms. Hazell-Small testified that Bayhill is not an appropriate placement for Student, as students at Bayhill have more severe learning disabilities than Student, more limited social skills, and many need one-to-one instruction, unlike Student. Further, Ms. Hazell-Small explained that Bayhill is not the LRE for Student, as Student “demonstrated that he was able to build peer-to-peer relationships,” and was benefiting from the program at Las Lomas. Student was able to access all programs at Las Lomas. Ms. Hazell-Small is familiar with programs at Bayhill and has observed students and programs at Bayhill twice. Also, District has placed students with IEPs at Bayhill before this time. According to Ms. Hazell-Small, District believes that Parents were determined to remove Student from District, and there was nothing District could have done to change Parents’ minds at the February 16, 2010 IEP meeting. 33. District disputed Mother’s account that Student was either suicidal, or that it was aware of such fact. Ms. Pearce, the school psychologist who met with Student after Mother expressed her concerns to District, found that Student was not at risk, either to himself or others. Ms. Pearce believed that if Student were suicidal, she would have noticed it in their many interactions. All of Student’s teachers, 11 and Ms. Hazell-Small, testified that Student got along with peers, was pleasant and loved playing sports, particularly football. He enjoyed being on the football team. Student was generally happy at school with no indication of sadness or depression. Further, according to the witnesses, Student was making progress, and interacted well with his peers. Mr. Longero saw Student often during the summer and had informal workouts with Student. During the fall, they played football. There were about 45 kids on the football team, and Student got along fine with all of them. Mr. Longero never observed Student feeling sad or being bullied. Ms. Pearce believes that Student made significant progress in his transition, his ADHD and his executive functioning issues. 34. Parents’ assertions regarding suicidal ideations are not persuasive. First, other than Parents’ belief that Student was having suicidal ideations, the record did not establish that Student was, in fact, thinking about suicide. Mother testified that she never discussed with Student her concerns that he was suicidal following each of the three instances. Nor did she obtain any independent confirmation from Student that he was thinking about suicide. Apart from Parents, no other person had reached the conclusion that Student was thinking about suicide. Parents did not obtain any evaluation or assessment of Student to determine if he was suicidal. The evidence does not support a conclusion that Student was thinking about suicide. 35. Further, even if it had been proven that Student was having suicidal thoughts, District demonstrated that it was proactive, supportive and provided Student with instruction, adequate supports, and services at Las Lomas to meet his unique needs and enabled him to gain educational benefit. Ms. Pearce, the school psychologist, met with Student after Mother expressed her concerns to District and found that Student was not at risk either to himself or others. District’s programs were more than adequate and were implemented appropriately. All of District’s staff had the necessary educational and work experience to provide services to Student. Ms. Zamaria stayed in touch with each of Student’s teachers, personally assisted Student with his schoolwork, and monitored his progress regularly. District met three times with Parents between June 3, 2009, and December 13, 2009. 36. Therefore, pursuant to Factual Findings 33 through 35, Student’s placement at Las Lomas was appropriate and provided Student with a FAPE in the LRE. District established that Las Lomas continues to be an appropriate placement for Student, even after November 2009. District’s offer of February 16, 2010, was reasonably calculated to provide Student with some educational progress based on accurate present levels of performance from the District’s assessments and the information available to District. 37. Parents believed that Student was not making academic progress at Las Lomas. They contend that Student’s low grades at the end of the first semester showed that Las Lomas was no longer the right placement for Student in November 2009. 38. District staff disputed Parents’ accounts. District’s witnesses believed Student’s goals were appropriate, even in November 2009 and February 2010. District’s witnesses credibly testified that after one semester, it was too soon to reach a determination that Student was not making progress at Las Lomas, or that his IEP was not appropriate. Ms. Gunnison testified that she did not have enough time to work with Student in her English class. She explained that for freshmen in high school, “it takes a while to settle down,” and teachers usually get a sense of how students are doing around the second semester. During cross-examination, Mother agreed with Ms. Gunnison that it takes about a year for freshmen to fully adjust to high school. 39. Ms. Pearce explained that because Student was emotionally immature and has ADHD, for Student to show full progress in all areas, time would be needed. Ms. Boyan explained that transitioning is often difficult for students who have pragmatic language difficulties such as Student. Further, Ms. Hazell-Small testified that District’s staff knew that Student was transitioning and that time would be needed to realize some of the goals. She believed that the drastic change of placement by Parents “was unwarranted.” Ms. Boyan and Ms. Childers believed that changing Student’s school every year, as Parents have done, is a factor affecting Student’s academic performance. District’s staff credibly established that Student was doing well at Las Lomas and making progress. They were all surprised when Student informed them that he was leaving Las Lomas. 40. Regarding Student’s grades, District’s witnesses, including Ms. Zamaria and Ms. Pearce, testified that despite the fact that Student received two ‘C-’, two ‘D-’, a ‘B-’, and one ‘D’ at the end of the first semester, Student was adjusting well and making progress. The witnesses explained that Student would have had higher grades in his classes if he had completed or turned in his assignments. Ms. Gunnison explained that Student received a ‘D’ in English because he plagiarized a writing assignment. Student had copied some materials in his writing from the Internet, and when told to remove the plagiarized contents, he failed to remove all of them. 41. Finally, District witnesses credibly established that District implemented Student’s IEP goals, monitored Student’s progress and provided Student with adequate supports and services. Student received passing grades in all his subjects. 42. Mr. Nolte, who taught Student World History, knew Student both in his class and socially. Student visited his culinary class often. He testified that although Student struggled academically, he was making both academic and social progress. He assisted Student with his homework and made class notes and PowerPoint presentations of his courses available to Student through the Blackboard, an online web-based learning/homework system accessible to all his students. Mr. Nolte was in constant contact with Ms. Zamaria through email regarding Student’s progress and school performance. He met with Student and Ms. Zamaria about once a month, particularly about Student not turning in his assignments. Further, he assisted Student with organization by encouraging Student to maintain a binder and place the assignments in the binder so Student could find them. He also advised Student to pack his school bag the night before so Student would not need to rush in the morning. Mr. Nolte notified Parents about Student’s issues with assignments. 43. Finally, District’s witnesses pointed to the recommendations contained in Dr. Peterson’s report requiring that Student receive supports both at home and at school; Parents are required to “implement a structured plan for homework completion” with Student at home, and help Student “with the process of outlining his approach to his assignments,” among others. Father testified that Student resisted his help, would “shut down,” and would “just not do his assignments.” Mother also confirmed that Student resisted doing his homework, and would often, incorrectly, state that he had no homework to do, or that he had completed it. Also, Father explained that all discussions with Student about schoolwork led to disputes. Therefore, the evidence supports a finding that Student could have benefited from adequate structure and support at home. The evidence does not establish that Student’s continuing difficulty is a result of the inappropriateness of his IEP, or District’s programs or services. 44. Therefore, pursuant to Factual Findings 38 through 43, there is no evidence to support a finding that Student’s academic issues or low grades at the end of the first semester of the 2009-2010 SY were the result of the inappropriateness of Student’s IEP at any time while Student was at Las Lomas. Parents’ assertions that Student was not making progress, or that Student’s low grades at the end of the first semester showed that Las Lomas was no longer the right placement for Student in November 2009, are not supported by the evidence. 45. Parents testified that Student became overwhelmed by schoolwork, and the increased curricular pressures on Student proved that Las Lomas was no longer the right placement for Student. Mother testified that Student was excited when he started Las Lomas, and that the school was a positive experience for him. However, according to Mother, things changed around November 2009, and Student became withdrawn, angry and was not doing his homework. Mother believed that Student became overwhelmed by schoolwork, particularly with the 10,000-word novel-writing assignment that Student’s English class was doing. Mother stated that because of the writing assignment, sometime in November, Student “lost it” and punched a hole in a wall at home. Mother testified that she mentioned this informally to Ms. Zamaria. 46. In the novel-writing assignment, Student copied some materials found on the Internet and included them in his writing. When Ms. Gunnison discovered the plagiarism, she advised Student to rewrite his paper by removing the plagiarized parts from Student’s writing. Ms. Gunnison testified that Student removed some, and left some in his writing. Parents believed that the fact that Student plagiarized while completing his novel-writing assignment was proof that Student was overwhelmed with schoolwork. 47. Ms. Gunnison believed that the novel-writing assignment was “appropriate and creative” for Student, and that Student enjoyed it. She explained that Student had good ideas and knew how to get his ideas down, but sometimes struggled with organization. Ms. Zamaria testified that even though the plagiarism incident was unfortunate, it is not unusual for students, in their first year in high school, to attempt plagiarism. Based on school policy, each student that plagiarized was referred for interventions, which included a conference with the student and contact with parents as was done in Student’s case. Three other students also received referrals for interventions for plagiarism during the 2009-2010 SY. Ms. Zamaria told Parents not to be too worried, as “it was not unusual at Student’s stage.” Ms. Gunnison testified that the plagiarism was “like a blip” in Student’s radar, and was not indicative of how Student was doing in her class. Ms. Gunnison discussed Student’s plagiarism with Father, but he did not mention anything about Student being depressed or having suicidal thoughts during the discussion. 48. District’s witnesses disputed the fact that Student was overwhelmed by schoolwork. The witnesses credibly established that Student was provided with the required accommodations and modifications in curriculum. Student’s novel-writing assignment was modified and Student was required to write only 8,000 words, rather than the 10,000 words his peers were writing. Further, Student’s 8,000 words were divided up into 300-word-per-day parts. District witnesses established that the high school curriculum would challenge Student during his first year. However, Student received accommodations and his English curriculum was modified; Mr. Nolte provided Student with extended time and allowed Student to do “open book” tests in his World History class and utilized the Blackboard, the system which allowed students to download his course assignments, class presentations and notes, extensively as a form of note-taking help to Student. Mr. Thompson also sat Student in the front of the class as an accommodation, among other accommodations that he also provided to Student. 49. District’s staff believed that Student’s increased frustration in November 2009 was not due to Student being overwhelmed by schoolwork. Most believed that it was due to the fact that the football season just ended. According to Student’s former teachers, including Mr. Longero, Student must maintain a minimum grade point average of 2.0 to play on the football team, which was the reason Student was motivated to do well during the football season, according to District staff. After Parents informed Student that he was leaving Las Lomas, Student lost all motivation and stopped doing his assignments, according to District’s witnesses. 50. Pursuant to Factual Findings 47 through 49, the evidence does not support a finding that the curriculum, program or services at Las Lomas were inappropriate for Student. 51. Parents contend that Student’s frequent tardiness in his first semester, and the fact that Student was not completing or turning in his assignments, should have prompted District to revise Student’s IEP sometime in November 2009. Parents contend that these issues were directly related to Student’s diagnosis of dysthymia, and that District’s failure to address the symptoms, including Student’s problem with getting up in the morning, denied Student a FAPE from November 2009 forward. District witnesses credibly testified that Student showed no symptoms of dysthymia at school, and that dysthymia did not impact Student’s education. Further, District witnesses testified, credibly, that Student was not depressed at school. 53. District demonstrated that it took necessary action regarding Student’s tardiness. Staff asked Student why he was tardy and Student indicated that Father was at fault, as he was responsible for bringing him to school on time. Ms. Zamaria spoke with Father, who explained that it was hard getting Student going in the morning. District continued to work with Student regarding these issues. At the December 16, 2009 meeting, District discussed Student’s need to get organized, and offered help to Student regarding his assignments. Also, from around October 5, 2009, District records show that it was monitoring Student’s weekly progress regarding behavior and attendance. 54. Further, the evidence established that Ms. Zamaria met with and contacted Student’s teachers through email often in an effort to address Student’s tardies and assignment issues. She was monitoring Student’s progress regularly. Ms. Hazell-Small explained that many students are tardy at the beginning of first period, due to car-pooling and transportation issues. Ms. Zamaria testified that she was not concerned about the tardies, since they were occurring during first period. According to Ms. Zamaria, Student was not missing any educational instruction in his first period Learning Skills class. She credibly testified that other than the tardies, overall, Student had good attendance at Las Lomas. 55. Pursuant to Factual Findings 52 through 54, Student failed to establish that his tardiness, or his failure to complete or turn in his assignments were related to his diagnosis of dysthymia, and that District should have revised Student’s IEP in November 2009 to address the dysthymia. 56. Parents have requested reimbursement for the cost of placing Student at Bayhill from February 4, 2010, through the present, and for his continued placement at Bayhill. District has disputed that it owes Student any reimbursement because it provided Student with a FAPE in the LRE at all times. As determined in Factual Findings 11, 14, 19, 30, 36, 44, 50 and 55, District established that it offered Student a FAPE in the LRE at all times during the 2009-2010 SY. From November 2009, did District continue to offer Student a FAPE in the LRE during the 2009-2010 SY? 1. Pursuant to Legal Conclusions 2 through 7 and Factual Findings 11, 14 and 30, District met its legal obligation to Student by developing, fully implementing and delivering services identified in the Student’s IEP of June 3, 2009, as modified on October 13, 2009, and February 16, 2010. District provided Student with a FAPE in the LRE during the 2009-2010 SY. 2. Pursuant to Legal Conclusions 2 through 7 and Factual Findings 19, 36, 44, 50 and 55, District established that it continued to offer Student a FAPE in the LRE, after November 2009, and during the entire 2009-2010 SY, while Student was at Los Lomas. The evidence does not support a finding that after November 2009, or at any time thereafter, the placement, curriculum, program or services at Las Lomas were no longer appropriate for Student. Therefore, Parents contention that District should have revised or changed Student’s IEP in or after November 2009 is unproven at the hearing and was unsupported by the evidence. 3. Based on Legal Conclusion 8 and Factual Finding 56, Parents are not entitled to receive any reimbursement for Student’s placement in Bayhill because District offered Student a FAPE in the LRE at all times during the 2009-2010 SY. Education Code section 56507, subdivision (d), requires that this Decision indicate the extent to which each party prevailed on each issue heard and decided in this due process matter. District prevailed on the sole issue that was heard and decided in this case. Education Code section 56506, subdivision (k), any party may appeal this Decision to a court of competent jurisdiction within 90 days of receipt.